​​​ ​HOUSTON – One neighborhood in greater Houston "has it all," according to real estate brokerage Redfin. Redfin ranked the 25 Neighborhoods that "Have It All" based on home affordability, school ratings, access to public transit and housing inventory. Number 13 on the list was Houston's very own Independence Heights, or ZIP code 77022. 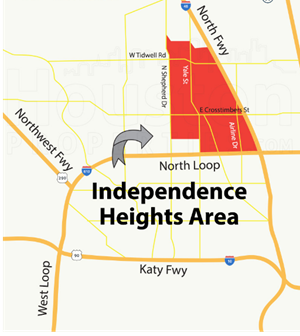 Independence Heights' median home price is $137,000—the third-lowest of the list—while its houses are on the market for a median time of 69 days. The neighborhood's school rating of 5.667 and crime rating of 61 put it in the middle of the pack for those factors. However, its transit score of 50.5 was one of the lower among the 25 neighborhoods.